Rowdie Dogs Meet Your Match. Introducing Custer with HardyTex & Zogoflex built in! Perfect for medium to small dogs who won’t be able to put this guy down. 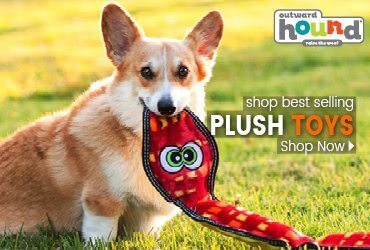 Ideal for chewing and then cozying, Custer will be your dogs go-to toy. 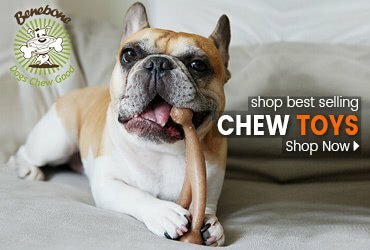 This all new take on Plush Toys uses Zogoflex material to create designated "chew zones" for dogs who love to gnaw, chomp and chew. The tough plush HardyTex fabric has been reinforced with a mesh backing for enhanced durability. 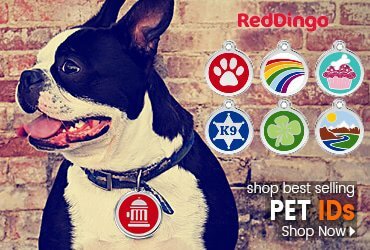 Proudly made in the U.S.A. Custer size is: Height 10.5" x Width 3.75"
Rowdies are our newest collection of durable plush toys for dogs. Each toy was designed for specific sized dogs in mind. No matter if you have a toy Terrier or a massive Mastiff, West Paw has created a series of dog toys sturdy enough to hold up to rough play. Custer's size: Height 10.5" x Width 3.75" Using the innovative Zogoflex material to create designated "chew zones" for dogs who love to gnaw, chomp and chew. In addition to the built in Zogoflex, each Rowdie includes a tough plush exterior called HardyTex, which is reinforced with a mesh backing for enhanced durability. 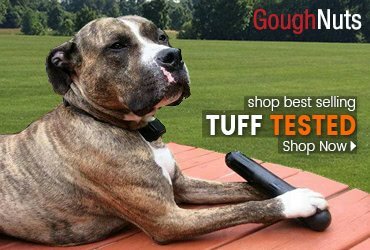 Rowdies combines the extreme durability and safety of Zogoflex with our tough chew zones along with reinforced mesh backed fabric to create a furry plush toy that lasts. GUARANTEED! Height 10.5" x Width 3.75"